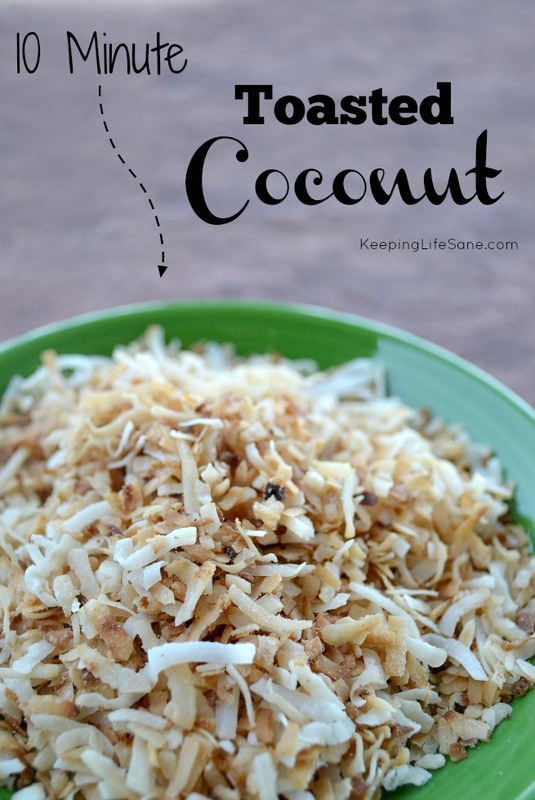 I love coconut and it’s so good toasted. I was talking to a friend the other day and she hadn’t even thought of toasting it. She had no idea how to do it. I told her and she said it would be a perfect post for the blog so here I am. 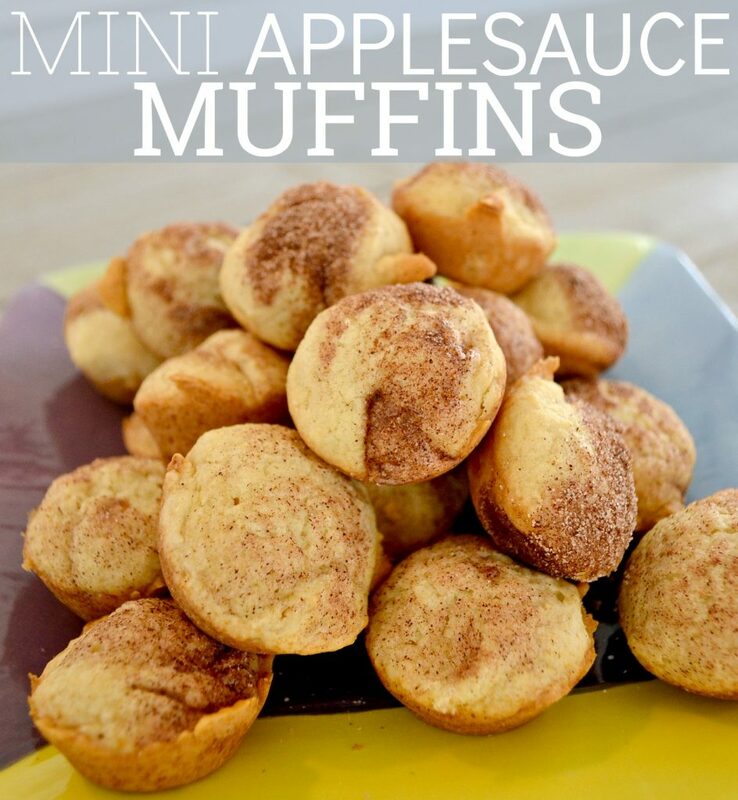 It’s great to add to cookies, oatmeal, and trail mix, and protein balls. 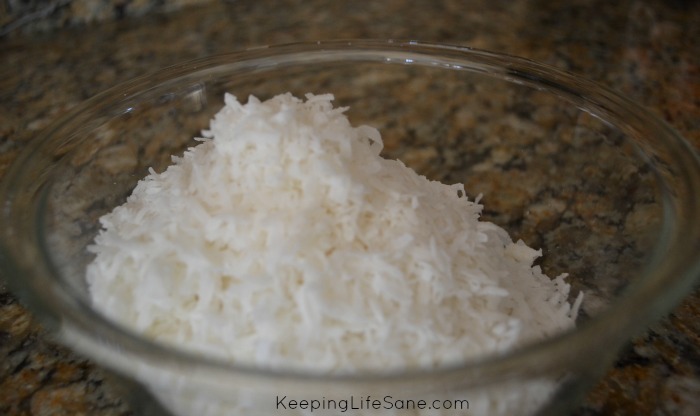 Scroll down to get the instructions on how to toast coconut. 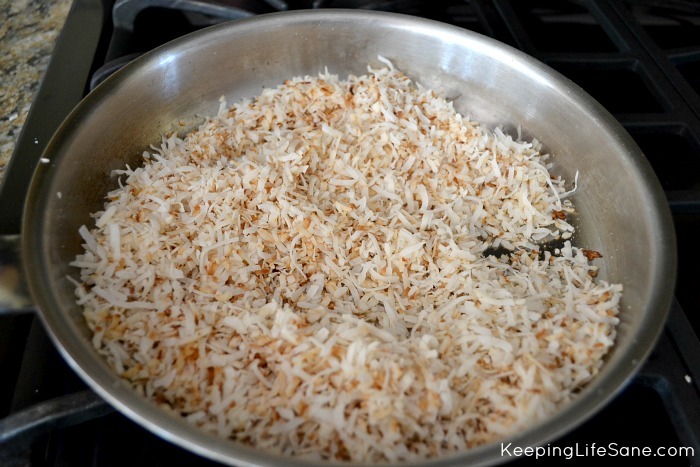 Toasting coconut is so easy and you can use it in so many ways. I love it in my morning oatmeal, on top of cakes and pies, and even in dinner dishes. I just buy the coconut from the baking section in the grocery store. There is sweetened and unsweet. It’s your choice and you can buy whichever you prefer. I like to do mine on the stove top. You can bake it in the oven, but I’m always afraid it will burn so I like doing in on the stove so I can keep a close eye on it. I grabbed a pan and set my burner on 4 (out of 10). Pour in your coconut. Now you need to just stir, pretty much continuously. 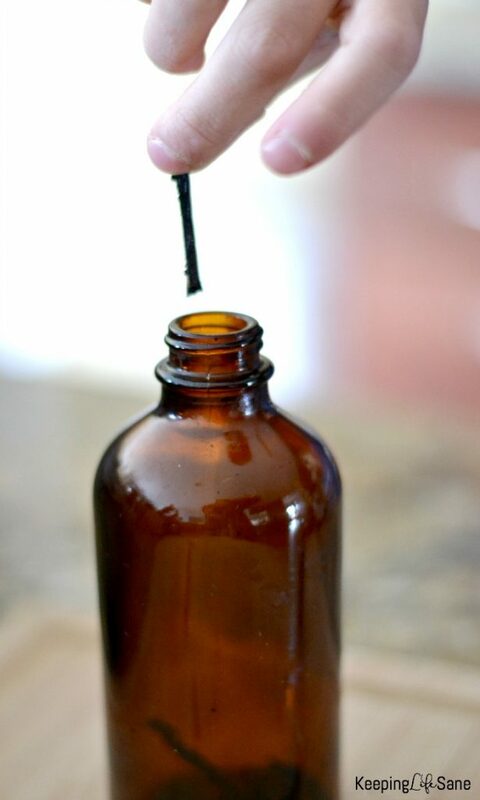 It starts out by letting off a stronger smell and will gradually start to brown up. The coconut only took 9 minutes to be toasted the way I like it. Do not let it sit! It will start to burn very quickly. You need to keep stirring. You’ll also start to hear the coconut getting crunchier. Here are my favorite wooden spoons and pan! I was nervous to take this picture because I didn’t want it to burn!! You can just keep in an airtight container and you’ll notice that you can add it to a lot of things you are already eating. Enjoy! You may also like this article.